HMD Global recently launched the Android Go-powered Nokia 1 smartphone in India at Rs. 5,499. The entry-level device was unveiled at MWC 2018, alongside a host of other devices like the Nokia 8 Sirocco and Nokia 7 Plus among others. The company is now gearing up to launch the new Nokia smartphones in India, and has already sent out the press invites for an event scheduled for April 4. “HMD Global invites you to an exclusive gathering to unveil the next milestone for Nokia phones”, says HMD Global’s press invite for the launch event – according to NDTV – clearly indicating that new Nokia smartphones will be launched for the Indian market. 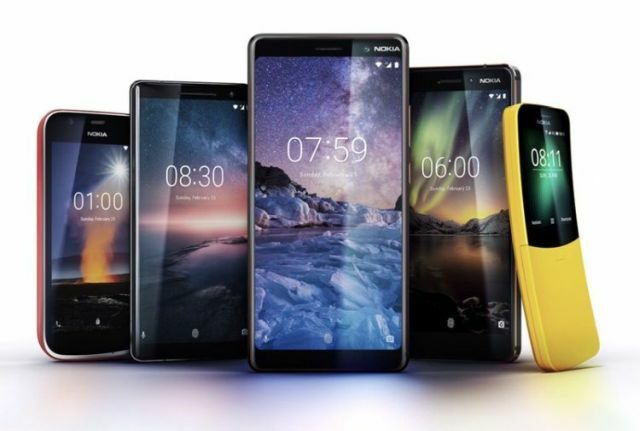 At MWC, the Nokia 8 Sirocco, Nokia 7 Plus, Nokia 6 (2018), Nokia 1 and the Nokia 8810 ‘Matrix Phone’ were officially announced and the Nokia 1 is the first to go on sale. The Nokia 8810 will also likely be launched in India, one of the world’s biggest feature phones market. Finally, the higher-end Android phones Nokia 6 (2018), Nokia 8 Sirocco and Nokia 7 Plus will round off the new products from the company for the time being. Nokia is in a great position in terms of its comeback as a mobile brand and sees India as a big market for its well-priced offerings. The company recently started selling its phones and accessories on the official website, so it’s doubling down on the Indian market. The Nokia 6 (2018) is an upgraded model in comparison to last year’s phone, in terms of processing power. However, the Nokia 7 Plus is the phone to watch out for as it could unsettle the likes of Honor and OnePlus if the rumoured price is right.